A pleasant, nice way to groom your dog or cat. 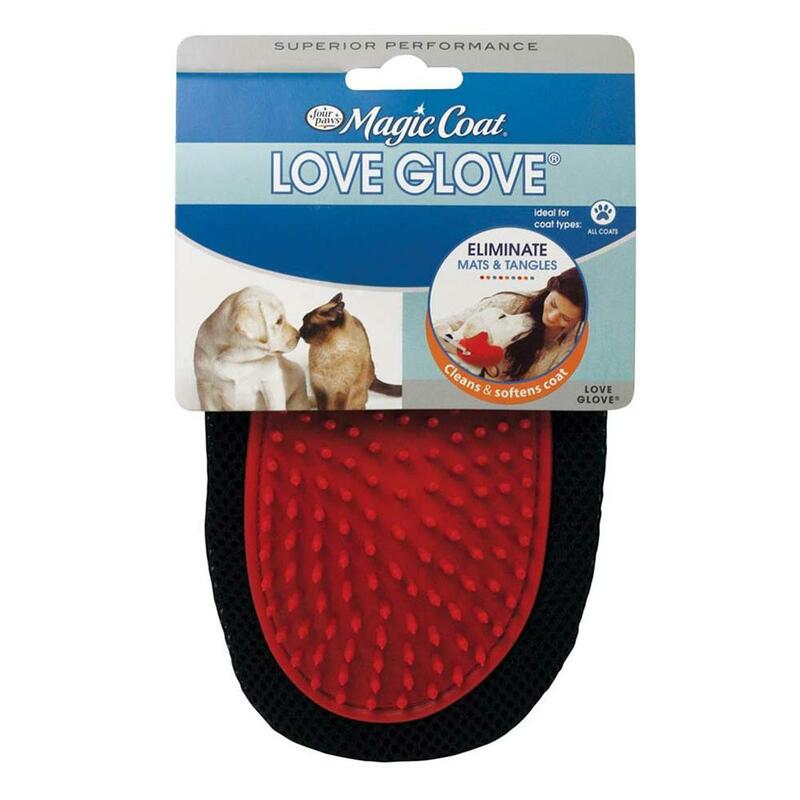 The 'Love Glove' has soft flexible rubber tips on a canvas glove and gently lifts dirt, dust, and dead hair from your pet's coat. Also lifts hair from furniture and carpet.